Why choose Advanced Management Services? Advanced Management Services is an accredited private school that has over 200 students annually. We are located in Bridgetown, St. Michael Barbados. 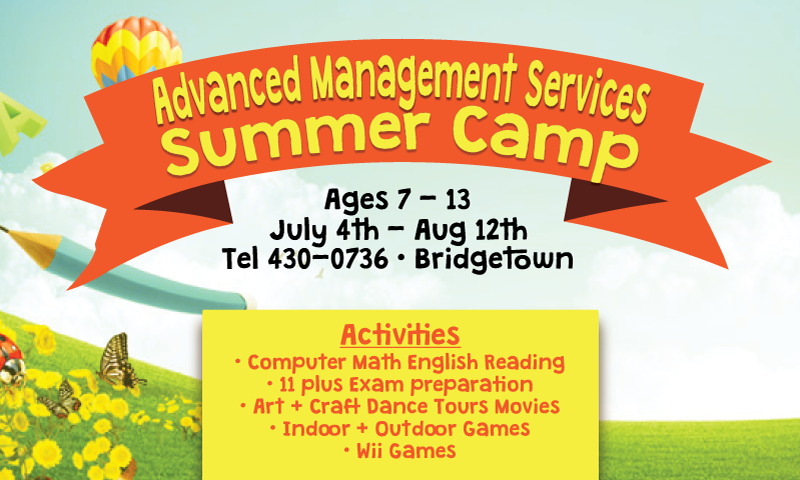 Advanced Management Services is presently among the top private schools in Barbados. The establishment offers CXC day classes and cxc evening classes and full certified computer training and certificate courses in many computer applications such as Windows, Information Technology, EDPM, Microsoft Word, Excel, Access, Desktop Publishing, The Internet and many others. This training is not just for the executive who may need his/her computer skills upgraded but also for the person who knows absolutely nothing about computers. Our computer courses are presently among the very best in the island . We offer CXC & CSEC classes in Social Studies, Mathematics, English Language, Accounts, Principles of Business, Office Administration, Information Technology, and E.D.P.M. Come visit us! Advanced Management services has many professional teachers with over 25 years teaching experience. Excellent knowledge of the subject and lots of practice using past cxc examination papers and solutions are some of the reasons that we have such a very high success rate. We also offer some of the best prices and installment plans that are affordable and easy to manage. We go out of our way to cater to everyone and offer both CXC day classes and CXC evening classes in all subject areas on our course outline. We pride ourselves on being able to generate some of the best CXC results each and every year. Register with us if you are looking for great success in your CXC or CSEC examinations. Now is your chance to get the best CXC classes and so obtain the best CXC results possible. Your future begins with us. You want a better career. You want more out of life. If you're driven to succeed, we'll help you get there. Advanced Management Services has been preparing students for career success since 1995. Our students may not only go on to just get a degree, they learn the market-relevant skills needed to prepare for in-demand jobs. That's why employers hire Advanced Management Services graduates. Enroll for your success today! $35 Discount for Past AMS Students. Register today and come and have a great time with us. $35 Discount for Past AMS Students on all subjects.